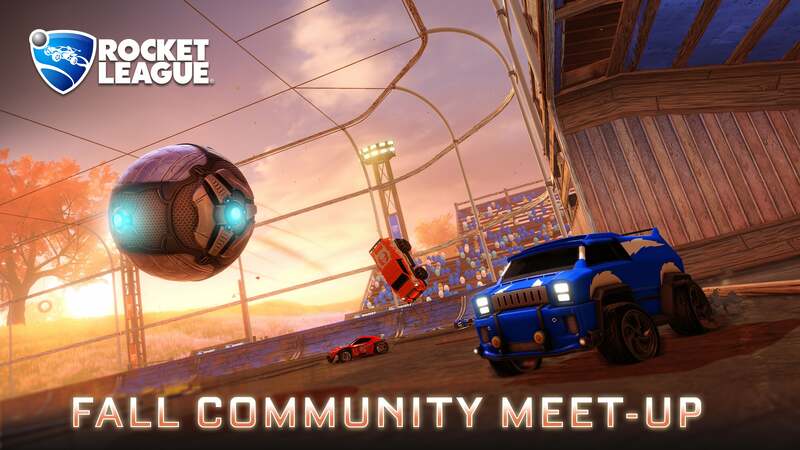 We’re hosting a Rocket League Fall Community Meet-Up later this month, and YOU are invited! Following our San Diego get-together last May and our 3rd Birthday Party this past July, the Fall Community Meet-Up will be held on Saturday, October 13 at the Esports Arena in Santa Ana, CA from 12:00 PM - 8:00 PM (Pacific Time). At the event, we’ll be streaming the RLCS NA Regional Playoffs LIVE on the big screen so that you can come ready to support your favorite squad! We will also be running several tournaments throughout the day, including a 3v3 Standard tournament and a 3v3 Dropshot Rumble ‘Rumbleshot’ tournament! Plus, in addition to the PCs used for the tournaments, we will also have extra machines on-hand so you can play more casual matchups, too. We haven’t forgotten about the swag, either, as the first 300 attendees will get their very own FREE Rocket League shirt! We’ll have food and drinks on hand, as well (while supplies last), and there will even be a paid, onsite bar for those of you who are 21 and older. Oh, and be sure to check out the Savor Santa Ana food festival that's happening in downtown Santa Ana at the same time as our event to enjoy plenty of great, nearby food. Along with all the food and fun, Psyonix devs will be hanging out and playing games throughout the day, so come on down and try to top us in a friendly game of Snow Day. No RSVP is required, but please let us know if you’re attending on our Facebook Event page. We can’t wait to play ‘Rumbleshot’ with you all!